Save the date for a special screening from Fox Searchlight in association with Legion M of Guillermo del Toro's new masterpiece The Shape of Water. Join us on Thursday, Dec 7th 2017 7:30 pm at the Arclight Cinerama Dome with a Guillermo del Toro Q&A session post-screening. This will be the first public showing of the film in Los Angeles and Fox Searchlight has thoughtfully scheduled this for the Legion M community. Let's rally to support our friends Guillermo and Doug Jones on this epic new film with a Legion M meet up after Q&A. AND EXCLUSIVELY FOR LEGION M MEMBERS who attend this advance screening and Q&A, Fox Searchlight will provide a Shape of Water mini-poster and free popcorn plus... a special Legion M guest will moderate the post-screening Q&A with Guillermo and Doug. Don't forget to show your Legion M pride by wearing your Legion M shirts and pins! 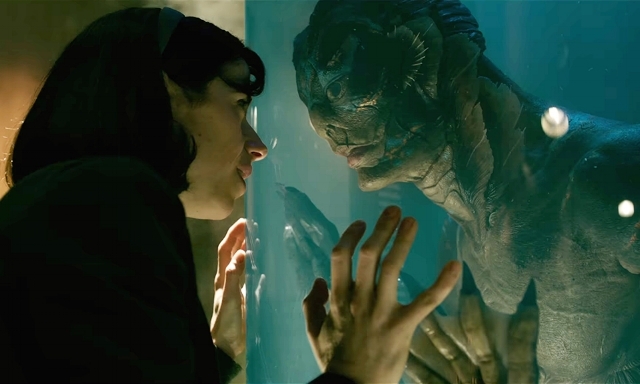 Come join Terri Piñon and a bunch of your fellow Legion M members in the NYC area to watch any (or even better all) of the four screenings for The Shape of Water followed by a Q&A session with Guillermo Del Toro and cast members, Michael Stuhlbarg, Octavia Spencer and a fellow Legion M member, Doug Jones! Wear your Legion M swag! Legion M members will be receiving a special 13"x19" movie poster for attending at a first come, first serve basis along with some Legion M swag. Find Terri and show her the Legion M secret handshake to get your goodies. Tickets are moving fast! Purchase your tickets directly from each Box Office below.